With new construction, you can build the home of your dreams. 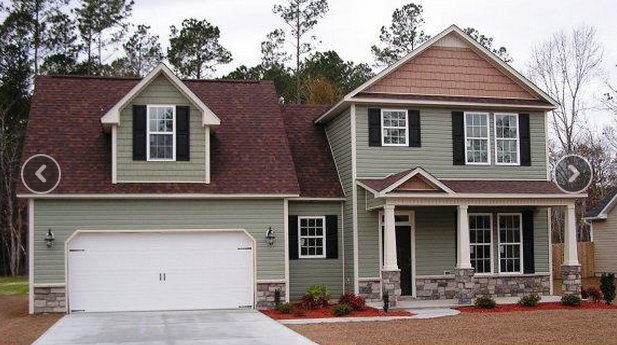 Neighborhoods like Brices Creek Harbour, River Trace, Hardee Farms, Carolina Colours, Longleaf Pines, Lakes of Antioch, Craeberne Forest, and Swift Creek Plantation all offer new construction properties. Our experienced local builders are proud of their craftsmanship, and the final product will show years of dedication to building the perfect home. Whether you are building your “Southern Living” dream home or downsizing to the perfect size Arts and Craft plan, New Bern is the perfect setting. While there are many kinds of homes for sale on today’s real estate market, there is nothing quite like the feeling of purchasing a brand new home. Imagine the beautiful floors, glistening countertops, and immaculate walls, untouched and ready to serve as the setting for the next chapter of your life’s story. New construction affords you the opportunity to customize your home, so you can make sure your surroundings are tailored for your particular lifestyle. Where Can I Find New Construction? Tucked away in southern New Bern at the edge of Croatan National Forest, Hardee Farms offers both brand new and under construction homes. Houses in Hardee Farms are modern by design with multiple bedrooms, modern appliances and surfaces, and spacious yards. Just a short drive north of the Cherry Point Marine Corps base, Hardee Farms provides a great blend of luxurious new construction and a convenient location. Featuring an eclectic mix of real estate, Carolina Colours wastes no time in making you feel at home. Architectural styles range from charming carriage homes to cozy bungalows. Inside these homes, you’ll feel like royalty. Luxurious amenities ensure a comfortable lifestyle, so you can spend more time enjoying the beautiful scenery around the Trent and Neuse Rivers. Swift Creek Plantation is built off of four characteristics: space, water, nature, and privacy. Within this community, you’ll find spacious homes that put you at the heart of New Bern nature and water access. But the key ingredient is the privacy. Here, you can enjoy a quiet living without worrying about the noise from the city. It’s a true retreat for homeowners looking for a peaceful neighborhood that lets them muse about the fantastic weather, friendly neighbors, and outdoor activities. No need to worry about any damage or malfunctions within the home: with a new home, you can be sure that every part of the home, from outside to inside, is in mint condition. Customization: with new construction, you can often incorporate custom elements into your new home to give it a personal touch, from the lighting to the landscaping. Excellent value retention: new homes tend to be more valuable for a longer period of time than older homes, which may have some problems due to their age. Donna and Team New Bern is a group of real estate professionals who are committed to connecting homebuyers to their dream homes in one of the most desirable parts of the region. Through years of experience our specialists have gained the skills necessary to handle every detail of your transaction, from start to finish. Choosing us is putting your trust in a group of experts who have helped many buyers join the large percentage of New Bern homeowners. Is New Construction for Me? If you are looking for a new home, there are few better options than new construction. Buying a newly-built home allows you to live life the way you have always imagined. Choose new construction so that you can take full control of your lifestyle, and reside in a place that is all at once modern, luxurious, and designed totally around your own personal needs.